Prior to joining Chambers in 2013 Fiona worked in-house for Southampton City Council heading up the Child Care team. She was the Legal Advisor for many years to the Adoption Panel and Local Safeguarding Board and latterly the Agency Decision Maker. Before joining Southampton City Council, Fiona was a member of a barristers Chambers in London and since joining 2 KBW she has developed a practice that covers the full range of Family Law work. 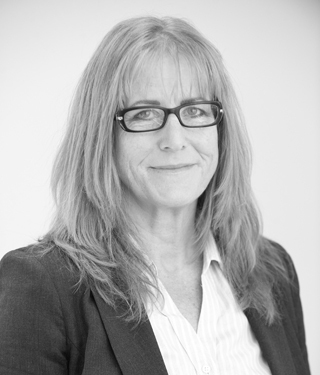 Fiona practiced in all aspects of criminal and family law for a number of years in Chambers in London before joining Southampton City Council where she managed the Child Care Team, and was the Legal Advisor to the Adoption Panel, the LSCB and the Agency Decision Maker. Since joining Chambers in 2013, Fiona has extended her practice and now acts for parents and guardians in both private and public law proceedings as well as continuing to act for Local Authorities. She has extensive advocacy experience, gained over many years, particularly in public law cases including those requiring fact finding hearings, complex cases involving the death of a sibling, appeals and contested adoptions. She has recently been instructed in cases where childhood obesity was the only issue, and where use of internet chat rooms formed the basis of the Local Authority’s case. Fiona is an experienced trainer and has been involved in a rolling programme of training for social workers covering Court skills, drafting skills and conducting mock trials. Fiona has also provided regular training to social workers on new Public Law Legislation, changes to Regulations and the Public Law Outline. Her training skills have been well received by many including the University of Portsmouth who commented – “Thank you, you brought a depth of compassionate realism and professionalism to this simulated experience. What I appreciate is the sensitivity towards the students who are, quite rightly, intimidated by the exercise. However, your support sought to build confidence, to provide rich learning through simulation but also the post exercise debriefings” – Chris Penney, Course Leader BSc(Hons) Social Work, University of Portsmouth.